New homes hold the promise of worry-free home-ownership. Unfortunately, that's not always how it turns out. We take a look at how to fix problems in a new build home. 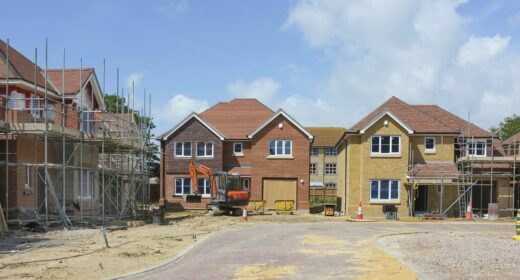 Since 2005, on the instigation of the government, the House Builders Federation (HBF) and NHBC – the new homes warranty scheme – have commissioned an annual survey on satisfaction with new homes. In 2017/ 2018, it was reported that 86% of buyers were satisfied overall with the quality of their new home and 87% would recommend their builder. Less flattering is that one third (34%) of buyers said their new home had more problems than they had been expecting. The survey also revealed that 42% said they had reported more than 10 problems to their builder and more than a quarter (26%) said they had reported in excess of 16 problems. This reflects a worsening trend since 2015. Many buyers realise only too late that while a property is likely to be the most expensive thing they ever buy it is one of the least-protected by consumer law. With most goods, be it a cabbage or a toaster, you have the right to reject them and demand your money back if they fail to live up to expectations. Property, however, is exempt from the Sale and Supply of Goods Act, with the result homebuyers are stuck with faulty properties. What can you do about problems in a new build home? During the first two years, the policy covers most defects, except for matters of wear and tear and minor defects such as plaster drying cracks. During this period you should contact your builder directly in the first instance. If your builder is no longer in business, however, you should contact NHBC. You should also be aware that policies, such as the NHBC’s, may not cover all design and construction problems – for these, your only option may be to sue under the builder’s contract. Before the initial two year period expires, you should give your home a thorough going-over and write a final report of any outstanding problems to your builder. Even armed with a professional snagging report, there is no guarantee that your builder will take any notice of problems during the first two years. If your builder does not respond satisfactorily your next move should be to escalate your complaint to the NHBC – or other warranty provider – directly and as soon as possible. Set up websites and Twitter accounts to advertise the problems to potential buyers. You should take great care, however, not to make statements which are libellous and could result in legal action against you. You must stick to the facts. A simple tweet with a photograph of the problem, with a tag saying “still waiting for this to be fixed in my new home”, and naming the developer, could be as effective as anything. If you need further help and support due to difficulties you are having with your new build home, please do join as a member and we would be very happy to assist you as best we can. I am buying a new build home. Do I have to use my developer’s solicitor?